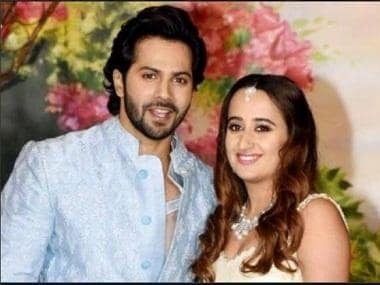 Bollywood actor Varun Dhawan recently opened up about his longtime girlfriend Natasha Dalal. While talking about her, he said he is with her because she has her own individuality, and as a partner, he wants to be supportive of her dreams. "That's why I'm with her because she has her own individuality, she has her own voice which is super strong with things she wants to do and things she wants to achieve in life. And, as her partner, that is something I want to support, you know. And, she has been so supportive where my career is concerned, always, from day one actually," he added. Varun talked about his relationship on an unseen section of the episode of Koffee with Karan season 6, where he appeared with Katrina Kaif. Looking back, Varun said: "Because I have known her, we were in school together. We were just friends, we weren't dating then. But since day one she has been supportive of my dreams and it has to be the same. It has to be equal from my side. From my side, I have to be supportive of her dreams also, or what she wants to achieve, or what she likes. Eventually, I think as a couple you want to evolve together." On the work front, the actor is gearing up for the release of Kalank, that stars Alia Bhatt, Madhuri Dixit, Sonakshi Sinha, Sanjay Dutt and Aditya Roy Kapur in the lead roles.